Our alumni are an integral part of the Institute for Computational Medicine’s extended community. They provide valuable insight to current trainees about their experiences in our academic programs and research in ICM labs, offer guidance on career development, and answer general questions about life at ICM. At ICM’s annual retreat, a select group of alumni form our career panel, a forum for current trainees to ask questions about computational medicine career paths in industry, research, and academics. Are you an icm alum? 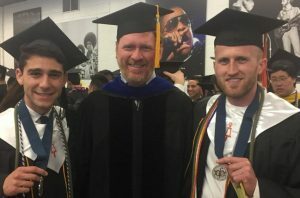 Complete an ICM alumni form to stay connected and share your news. Join the ICM Alumni LinkedIn Group.